In mountaineering terminology in the United States, a fourteener is a mountain that exceeds 14,000 feet (4,270 m) above sea level. 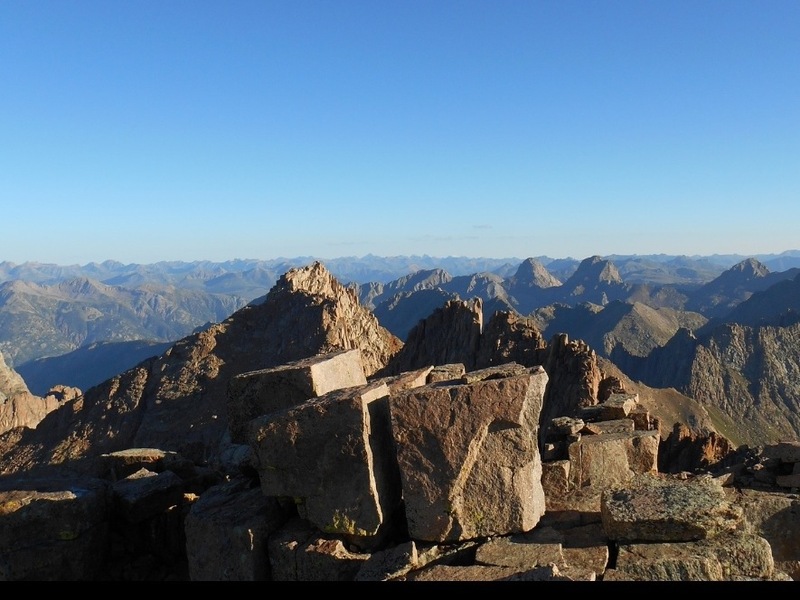 The importance of fourteeners is greatest in Colorado, which has the majority of such peaks in North America. 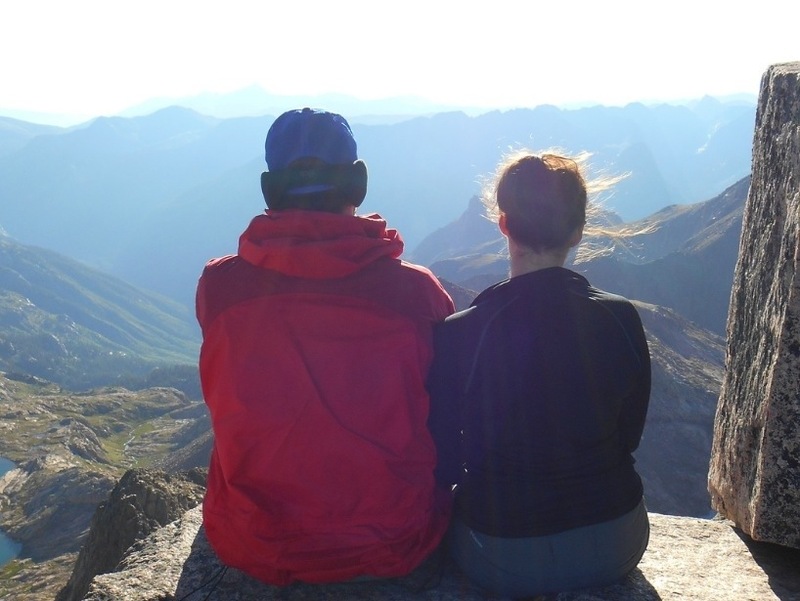 Climbing all of Colorado’s fourteeners is a popular pastime among peak baggers. There are 52 14ers in Colorado. We started the epic journey in Buena Vista by summiting mount Huron, while also acclimating ( which isn’t recommended when you fly in from LA which is at sea level). For day hikes, you really only need a few liters of water and a few snacks to give you energy. My dad wore his whole pack on each hike (he is amazing) while my boyfriend had a small bag and sinched his water bladder to his belt. It really depends on what your preference is. Clothing is another matter. Normal hikers start these treks around 3:30-4 AM in order to summit before noon and get safely down the mountain without hitting the rain and hail. Yes, it rains and hails by noon which makes descending the mountain treacherous. You want rain gear just in case as well as a warm layer and a light layer when you peel down. It gets pretty hot once you summit. Lots of layers helps. Or you could be my brother and wear a t-shirt and shorts the whole way. Again, it’s up to your discretion. 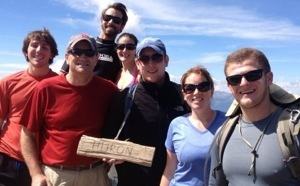 Here is a summit picture with the whole gang atop Huron. We then bagged Belford which is also in Buena Vista that connects to Oxford which can be summited in succession. My brother has unbeatable endurance and ran from the summit of Belford to Oxford and back in about an hour and a half. It takes about an hour and a half to get to Oxford for most hikers. Like I said, he is a haus. Next stop: Durango! The most precious town I’ve ever seen. We took the infamous train from Durango to Needleton (a stop only hikers headed to Chicago Basin get off at..or rafters) there is nothing around Needleton. Nothing. Only nature and the distant steam escaping the train engine as it leaves you for Silverton. Getting to Chicago Basin is a 7 mile uphill trek that takes anywhere from 3 to 5 hours. You set up your tent and usually pass out after dinner. But the views you see once you wake up are remarkable. My main mountain to conquer was Aeolus. It has a bad rep of being dangerous and unsafe during any condition that’s not ideal. 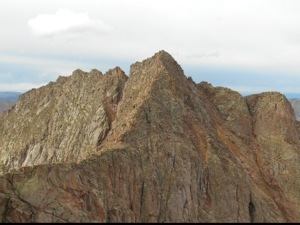 The week before we left for Chicago Basin, this mountain took the life of a hiker. It’s not a mountain first timers should be trying to bag. This is the catwalk; a narrow path towards the summit that is a straight fall on either side. 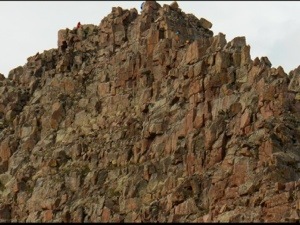 After the catwalk, it was straight scrambling/rock climbing until we summited. It was windy, but there wasn’t a hint of rain, so our descent seemed promising. This is the geological stone at the summit for Aeolus. This summit was my greatest achievement of the trip. On our way back to camp we had a run in with a few goats that were threatening our campsite as well as our neighbors. This is common and also one of the main reasons why you don’t leave food on your site. Always hoist a food bag into a tree, and secure your stuff while you are gone…or they will destroy everything. The last summit was to Windom. We left at 3 AM and were able to summit before 8. It was a perfect day, and the view was breathtaking. 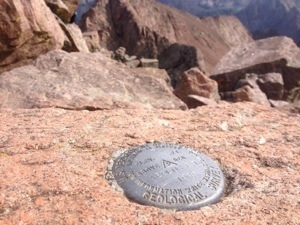 If you have never climbed a 14er, or any mountain for that matter, I highly recommend it. It puts everything into perspective when you are climbing for hours and finally reach the summit. The view will literally take your breath away. You can’t just look at a picture and get the gist either. Go. See what beautiful views and creations you are missing by getting caught up in the day to day. You will not regret it.